Seeds, seedlings, fresh vegetables and herbs, jams and jellies, sauces and relishes, gift baskets, maple syrup, chicks, piglets, working stock LGD puppies, eggs, piglets, rabbits, manure, ducks, meat birds, meat rabbits, raw fiber, raw pelts, goat feeders, herdshares, CSA shares, Soaps, tractor implements, soaps and of course GOATS. We are also able to accept PayPal payments for some items and some items are available for shipping, livestock not included. Please contact us for additional info regarding these alternate payment and shipping methods. Click HERE for information regarding Bartering your goods or services for our products or animals for sale. Check out our STORE for online purchasing of most items. Herdshares Coming soon! Get your farm fresh raw goats milk directly out of your own goat!! Stay tuned for more information. Pastured Pork We will be selling (whole only) pastured all natural pork. Barter Often times we are willing to work out a deal for items or skills you might have. No need to pay up front, but if you just let me know how many you would like I can let you know when they can be ready. These are fed non-GMO feeds and are raised totally natural (no antibiotics or chemicals of any sort....and that includes the parents of the rabbits as well). While we are not certified organic, these animals are raised as close as possible to all organic methods. and never given steriods or antibiotics. We also include pasture in the diets of all offered animals during the warmer months. Chickens, turkeys and ducks will primarily only be raised during the warmer months. If you are interested in learning to slaughter and process your own animals, please let us know. Whole only. You can have the organ meats (heart, liver, kidneys) if you would like. Why not also take along the ears and feet….they make good healthy and chemical free dog treats! We generally butcher around 12 weeks to give a nice well-proportioned roaster. Typical weights are about 3-5# packaged. We also butcher as early as 8 weeks to give a smaller fryer. 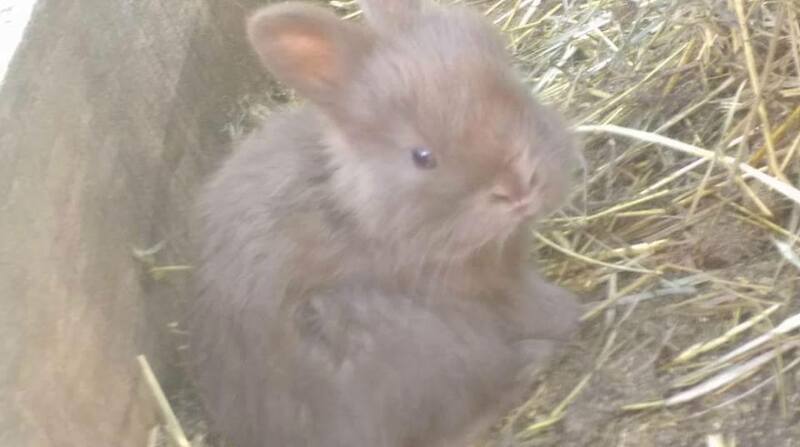 Generally we will try and have litters of rabbits ready to process every 2-3 weeks. If you would like to place an order to secure your prefered number of rabbits that would be great. We hope to have rabbits available pretty much all year. 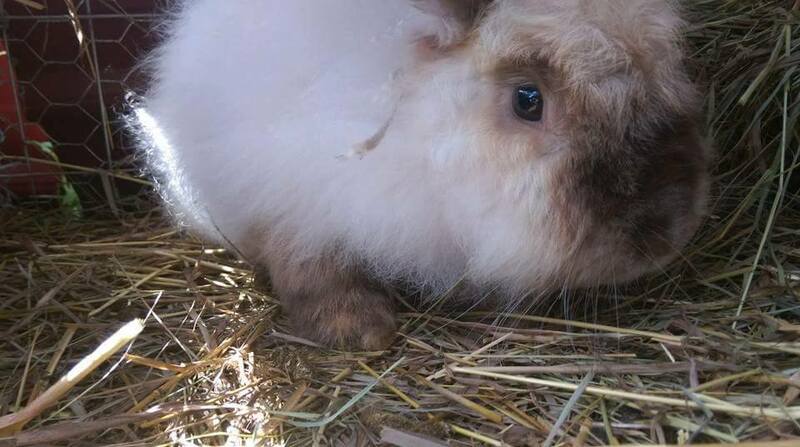 However excessive heat during the summer months or excessive cold during the winter months may limit when we choose to have our rabbits kindle If you would like to coordinate a litter for a specific time, feel free to let us know that as well, we should be able to manage that pretty easily. Even the grow out rabbits get tractor time! Chickens: (Average size 5-9#) each processed bird $18 Can be cut up for an additonal .75 a bird. They can be cut up or whole. Organs and/or feet can be included if you would like. These are flavorful meaty and large breasted birds! We butcher around 6-8 weeks and the birds typically weigh around 5-9#. Since we do not breed the chicks here we need to order them. We would like to do two batches of 25 chickens per year. Availability will be on a first come first serve basis on butchering day UNLESS you prearrange your order. If we get orders for more than 25 birds prior to bringing in the chicks we will be happy to raise more than 25 at a time. Chickens will be raised on both pasture and non-GMO feeds. This is a smaller chicken tractor that will hold at most 10-12 older birds or a couple dozen young chicks. Ducks: Average packaged size - 6-10# $26 each (packaged whole only) NOTE: We get quite a few orders for live birds as ducklings, so if you are going to want meat birds either live or processed we recommend you pre-order. Pre-order discount - $1.50 per bird. Our ducks are 100% free ranged and supplemented with non-gmo feed. Availability of processed ducks is limited so let us know ASAP if you will be interested. Current status: Two gilts currently growing out that were born fall 2016. Contact us for availability. NOTE: We will be switching to raising KuneKune pigs for our pork and offering these pigs beginning in 2019. We will be raising pastured pork for buyers. Selling whole hog only. But our hogs are smaller so you won't be overrun with pork! We will raise the pig on a pasture of primarily grasses and clovers (and a few other assorted plants) in summer. Supplemented with fermented non-gmo grains (barley and oats primarily) and organic vegetables from our garden and plantings made specifically for the livestock. In the winter months we feed organic hay, fodder and the same non-gmo feed mixture we feed in summer. We have two breedings of pigs that will be available. One is a 50/50 cross of AHH & Mulefoot/Mangalitsa. The other is a 75/25 cross of AHH & Mulefoot/Mangalitsa. All three heritage breeds carry a dark red and marbled meat. They also offer up a good amount of fat/lard to be used in soapmaking or cooking. Did you know that lard from pasture pigs is a good source of Vitamin D? UPDATE: We added a Berkshire/Mulefoot Cross gilt to our breeding lineup, piglets and pork should be available from this crossing in late 2017. Buyers will put a deposit of $100 per pig and then once ready for processing we will take to a local butcher (please contact us for location options). The cost from there will be $2.85 per pound HANGING WEIGlHT PLUS PROCESSING. Hanging weight is figured after entrails are removed. On average the deposit is about half of what you will pay in hanging weight charges (but it CAN vary). We will coordinate with each buyer to determine approximately when pig will be brought to butcher. This includes having each buyer fill out a standard cuts list. Sometimes we will have unspoken for stock "in process" so wait time will be less (contact for availibility). Often however we will take deposits right around the time the piglets are born. Optimum butcher time is about 9-10 months. Estimated live weight at time of butcher is approximately 200# but it CAN vary. 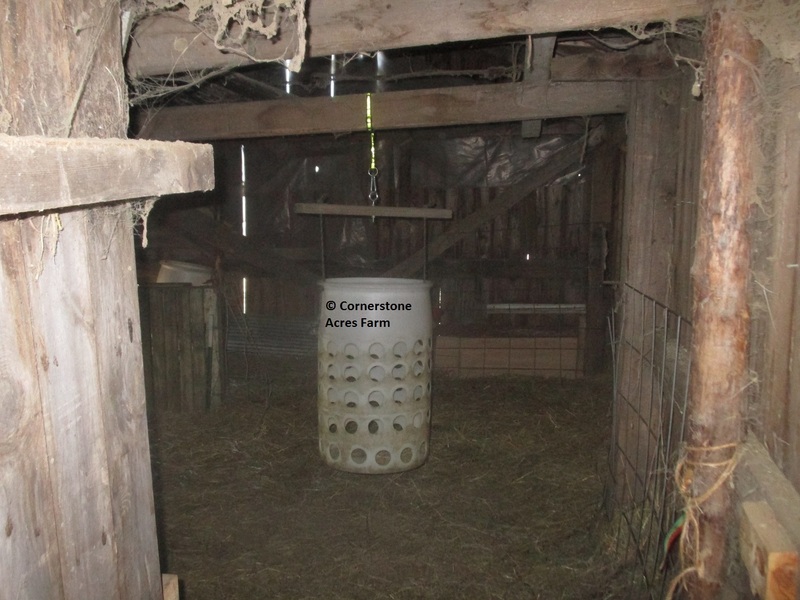 The amount of $2.85 per pound hanging weight is due to Cornerstone Acres within 5 days after we drop off the pig at your chosen butcher. We will notify you of hanging weight within 24 hours of drop-off. Processing charges (and slaughter fees if applicable) are due TO THE BUTCHER when you pick up packaged meat from their location. The original deposit will be subtracted from the total due to Cornerstone Acres. Basic processing charges are around 45 cents per pound and slaughter fees are around $60 per animal. Additional charges may be incurred for additional smoking or additional sausage types ordered. Please check pricing with your chosen butcher prior to us arranging drop-off. Buyers are responsible for purchasing entire hog and can not pick and choose individual cuts to buy at this time. The cut form provided prior to processing will allow you to decide exactly what cuts and processing you want your whole hog turned into. This feeder saves floor space but still allows at least 7 large breed adult goats and their kids to eat all at one time - I've counted 9 yearlings and adults at one time eating together comfortably on our feeder. I would however recommend it to be about 1 feeder per 5 full size goats. The hole size we use is working out very well and doesn't cause rubbing on noses. This design allows for very easy loading and cleanout. Depending on the size of your bales you should be able to fit at least 1/2 of a bale into each feeder. We have 55-60# square bales and that is approximately what we can fit. 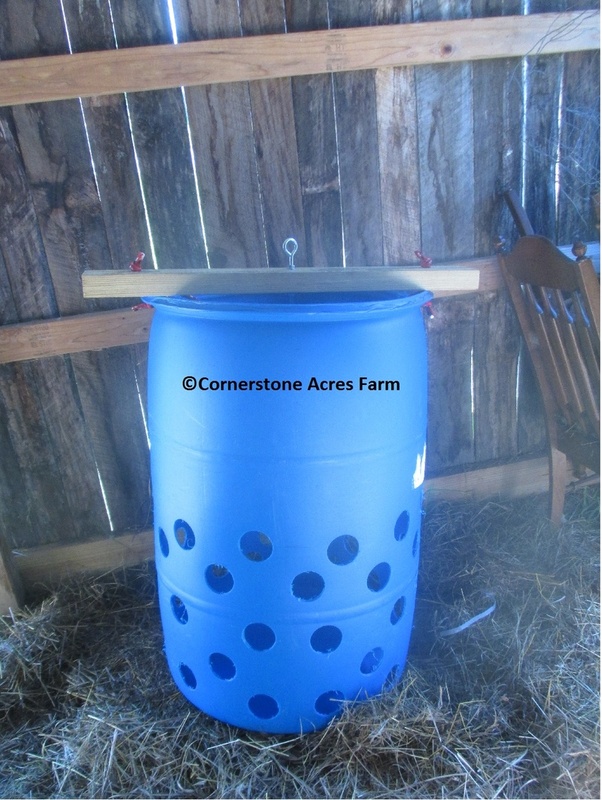 We have not used it for loose hay such as what would be peeled off of a round bale or what would come straight off a field. It also gives you the versatility of height adjustment and the hay waste is next to nothing (an amazing acheivement when dealing with goats). I think a top could easily be made for it so it could be hung outside and would still stay dry. We will NOT be offering lids with the feeders however. We have also started making 55 gallon size feeders. While we personally prefer the smaller white barrels as the goats seem to not be able to reach all the hay in the 55 gallon barrels. However this does work to our advantage in a couple of our hard to reach pens. We can stuff a feeder full then instead of hauling hay out to those pens each day we just rearrange the hay left in the center. This gives us two or three days without hauling hay to those barns! A full bale of hay will fit into the 55 gallon feeders. Free range chicken eggs in a range of colors from medium brown to green (no white eggs available). Current availability is limited. $2.00 per dozen. We can always use egg cartons! The interest in eggs has been much greater than I expected. If you are one of those who would like to become a regular customer - we can work something out and hold your required amount of eggs each week or any other scheduled time frame that would work for you and your family. We also now have a very limited quantity of DUCK EGGS available $3.00 a dozen. Each jar is labeled with item description and ingredients list. If you would like to know what is in a particular item before ordering - we will be happy to supply that to you. Also, let us know if you are looking for a specific flavor or perhaps if you have a special dietary need, we may be able to accommodate you. SORRY, BUT DUE TO THE HOLIDAY'S WE ARE EXTREMELY LOW ON GIFT BASKET STOCK. Feel free to contact us if you have a "themed" basket you would like us to produce. We can do just about anything from camping and goat inspired baskets to wedding and country kitchen themed baskets. The imagination is the only limitation! Please note: baskets or combos are unique and one of a kind. Once sold there will not be another exactly like it. Also, any jams/jellies/sauces listed with a basket could possibly be switched with any (equal sized) jam/jelly/sauce available above. All vegetable and herb seedlings: CLICK HERE to open a Word document containing prices, descriptions and plant availability for the 2015 season. Seeds: $1.00 per packet. Minimum seeds per packet: 25. Just a note on Comfrey.....Comfrey is extremely prolific and grows fast and well in most conditions, spreads heavily by root division (if YOU divide it or chop up the roots), but NOT by seed. Just throw some rotted manure on it at the end of the season so it is fed for next year. The leaves make EXCELLENT addtion to the compost pile. The leaves also make an excellent addition (but NOT to be used as a staple) to the diet of pigs, rabbits, chickens and goats. It has high nutritional value and protien content. It dries well and can be dried and stored to use as a winter supplement. IN THE GARDEN: This varies so much each year, but the below list gives you an idea. Contact for exactly what we might have available or stop by our produce stand right at the farm! The few things listed below we will be sure to get into the garden. We will also be sure and put in zucchini, summer squash, some hot and mild peppers and hopefully some cucumbers. To those who are local, I will refund 50 cents when you return the jar and ring (or bring in an equal jar and ring at time of purchase and I'll take 50 cents off then!) Also, purchase 3 or more jars (any size) and I'll take 5% off the entire purchase. Available in grain bags that traditionally hold 50# of grain (the actual weight of the manure may vary). You may drop off your own totes and/or barrels and we will fill them up and notify you when they are full. Alpaca - for now lower end quality as our stock is a bit older, but please feel free to check back soon for additions! Check back often. 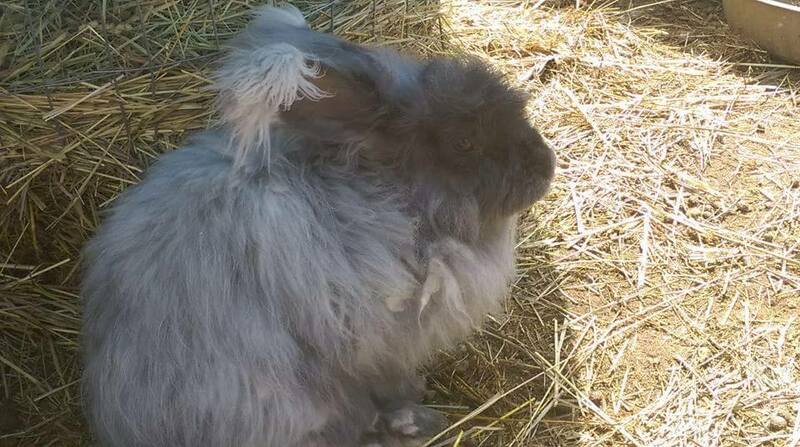 As we get more of a collection of fiber from our rabbits we will be offering raw Angora rabbit fibers. Prices to be determined by quantity purchased, quality and type. Shipping available but is not included in fiber prices listed. Call for shipping estimate. Coming Soon - Jacob Sheep raw fleeces. Shown below are some of our breeding stock angoras. We will often have other color fiber from some of our younger rabbits as well. Please feel free to contact us if there is a color or shade you might be looking for. We plan on tanning the pelts of some of our rabbits for our personal use. However IF we get prolific at it, perhaps we will be able to offer some for sale. We also may have raw (frozen) pelts available from time to time as our busy schedule does not always allow us to finish all our projects. Pricing will vary depending on: Age of rabbit, season of pelt (winter pelts are much thicker and lush), size of pelt and color. Price of finished pelts starting at $5 each and going up to around $12 each. We have mostly solid colored pelts. Silver Fox will be a new one we should have available soon. Limited supply available, please pre-order to ensure availability. 2017 season should begin in mid to late April. Totally organic, wild foraged leeks. I will only offer a limited amount (so as not to over forage our honey-hole) of about 15# this year. Pricing includes the lovely yummy tops and the delicious bulbs. The bulbs freeze very well for later use in many recipes including pickling and soups. The tops are great fresh, but I also made a pesto last year (that freezes well) and a recipe similar to Kimchi using the ramp greens instead of cabbage and fermenting them. I'm sorry, but I will have to limit this to local sales at this time. If you have never tried ramps, when the season arrives stop out and try before you buy any one. If you like raw onions you will most likely find ramps very yummy....and just as potent on the breath of course. Ramps however are very distinctive in flavor almost an onion/garlic mix. Put you order in before the season begins so you get the freshest selection.....besides I would prefer to pick to order (no sense in harvesting 15 extra pounds if I only get orders for 5). Some years we may have hay available for sale. We are currently sold out until hay season 2018. Please check back in May/June 2018. If you are interested in being put on our hay list, please send us an email with "Hay" as the subject line. Our hay is an organic grass mix. We have different fields with different make ups. We will be doing square bales. Possibly a few round bales available upon request. Square bales are to be picked up out of the field, or for a silghtly higher price we may stack onto our hay wagon and allow you (depending on your location) to use the hay wagon to haul the hay to your home. Pricing will vary from year to year depending on the yield. Pricing may also vary from field to field depending on hay quality. Often we only do a first cutting, however if the year is a good one and we have enough request, we may find ourselves doing a second cutting. Pricing for second cutting will also vary. Prices will be posted each year. We are sold out of hay. BARTER: We are almost always willing to barter items. If you have something that we may need or can use, let us know!! Do you have livestock, livestock supplies, fencing, plants, tools, household items, homemade items, etc that you are interested in trading for something we have (willing to barter anything we have for sale including CSA shares).....just let us know!! Got a service to barter, let us know! Are you a expert chicken plucker or perhaps a master pooper scooper? Fiber for spinning - raw fleece is great too! ????? What else do you have ????? I will try and keep this "wanted" list updated the best I can. Last updated 11/8/17. We are on Facebook .....drop by and say hi! We also have a page dedicated just to our fainting goats....Fallen Angels Myotonics.